This is a delightful picture painted by David Shepherd. The medium is oil on canvas. 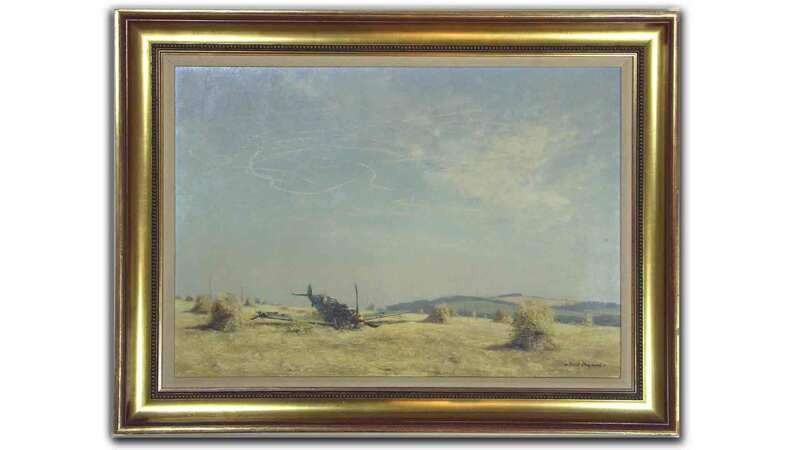 This picture was originally commissioned by the RAF and David Painted it from his memories as a boy during World War II. It shows a German Messerschmitt 109 that was shot down in the English countryside during the Battle of Britain. David asked to loan this picture at his 80th birthday celebrations in 2011 where it was displayed at the Mall gallery in London. This picture is a historical masterpiece from a much loved artist – a must have for any military art enthusiast.